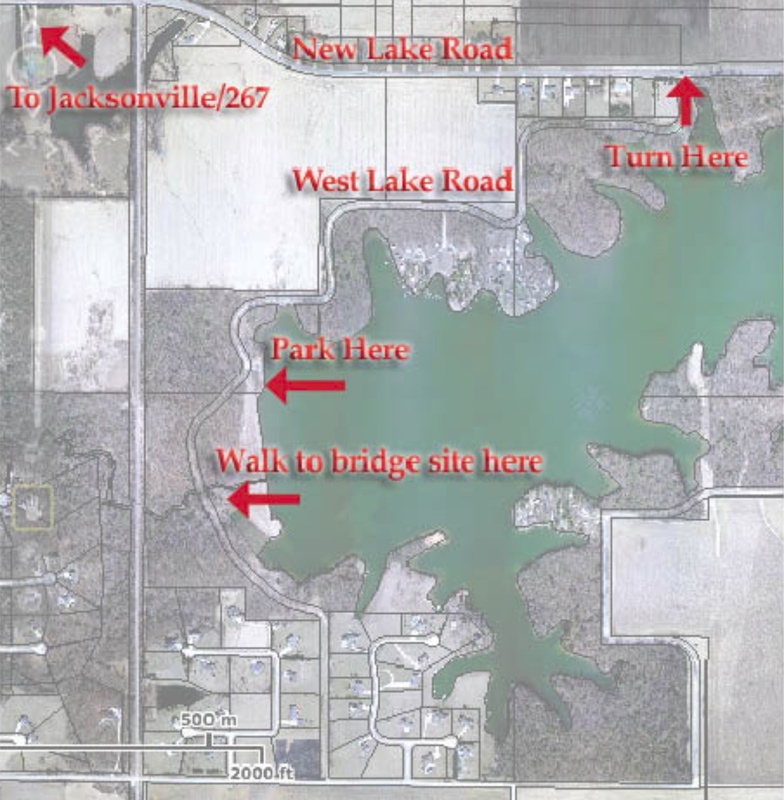 The Friends of the Trails of the Jacksonville Park Foundation invites the public to tour the spot for a planned pedestrian bridge at Lake Jacksonville. Volunteers will be on hand 6-8pm Friday May 20, and 9-11 am Saturday May 21 with plans for the bridge, and for a proposed bike transportation network. They will be seeking feedback to pass along to the city’s Parks & Lakes Committee. You can also download plans via DropBox. The designed and funded bridge is at the old West Lake Road crossing of Big Sandy Creek. The bridge plus the existing road bed would create a half mile of traffic-free path for families to walk or ride bikes, and enable people to run or ride bikes around Lake Jacksonville without having to travel on IL 267. 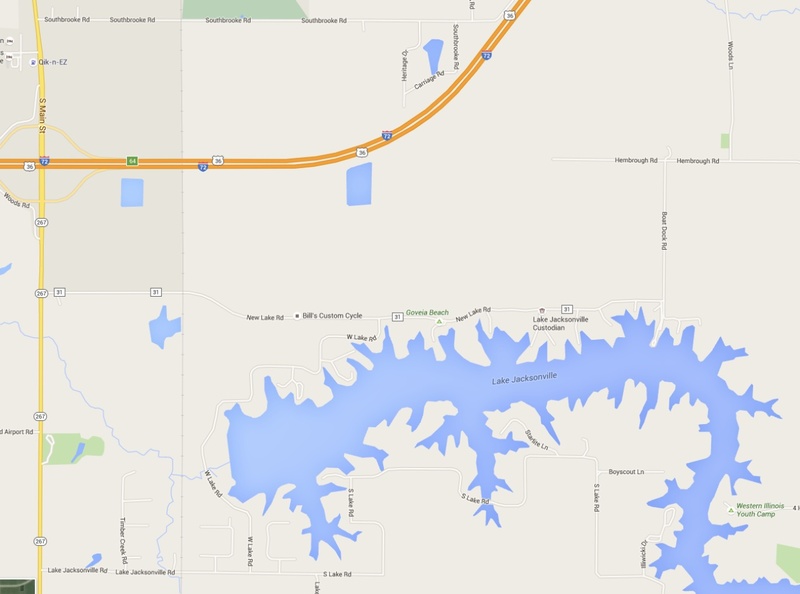 Plus fishermen will have easier access to shoreline close to the dam. And campers on the south side of the lake will have an option to get to the concession area without using their vehicles. The area is city park land that you may visit at any time. Come during the tour time to get info and provide feedback, and take a little walk in the woods to see the site for yourself. Directions from Jacksonville — take 267 south, turn left on New Lake Road, after RR tracks turn right on West Lake Road, go about 1 mile to parking lot. Download plans. See the city’s comprehensive plan for references to a bike path around the lake. (Develop a trail system in Jacksonville for multi-purpose use around Lake Jacksonville on p 191, search the PDF for “bike” for other references.) Send feedback on the plans below. Thanks to Shawn Artis for creating the proposed bike transportation plan outline maps.